How Can I Tell if My Horse is Lame? 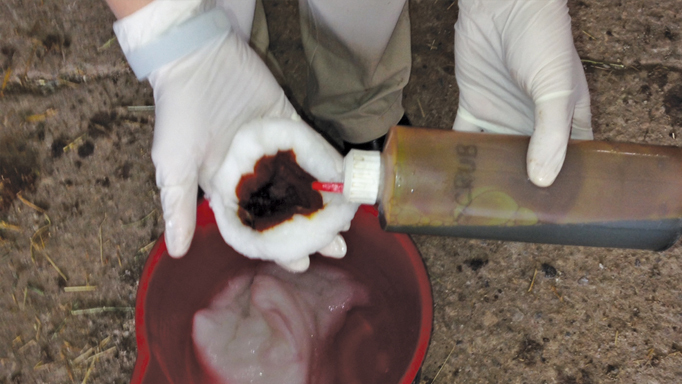 Learn how to perform a lameness exam from head to toe, using these visual and hands-on inspection tips from Melissa McKee, DVM. Pain in the body can result in a wide array of signs, from something obvious, like a sudden head nod or limp, to a more subtle and inconsistent change in performance. Identifying, diagnosing and managing a low-grade musculoskeletal issue is important because a slight injury can progress towards a more serious and damaging problem if not caught in the early stages. Lameness can be, to some extent, “in the eye of the beholder.” While a light pleasure/hack horse can get along quite well with significant issues such as heel pain syndrome or hock spavin, and would not be considered lame for their intended purpose, the same lesions would quickly cause limping and performance issues in a more intensively trained show or race horse. In addition, there are other health problems that can mimic subtle lameness, making identification and diagnosis quite challenging. So, if something doesn’t seem quite right about your horse, but you are not sure if it is due to a musculoskeletal issue or something else, here are some suggestions on how to perform a basic lameness assessment. Increased anxiety in the stall manifested as weaving, cribbing, sitting in the water bucket or up against the wall, digging up piles of shavings and standing with the heels elevated on the pile, uneasiness stepping from the soft stall bedding onto concrete. Reluctance to go to the show ring or arena (rearing, spinning etc.). Misbehaviour during work (grabbing the bit, shying, rushing etc.). Hunter/Jumper: Rushing fences, stopping, drifting at take-off, hitting rails in front or behind, cross-cantering or breaking into trot approaching a jump, always landing on a particular lead. Dressage: Deterioration of collected and lateral work, anticipating movements, shifting haunches inside, unlevel during extended movements. Western Performance: Blowing barrels, extreme anxiety before runs, won’t sit down for sliding stops, poor spin in a particular direction, falling out of lope. Driving: On a shaft or line, breaking stride, choking down. Racehorse: Lugging in/out, difficult in the start gate, switching canter lead repeatedly. If any of these issues have recently developed with your horse, it can be an early indication that they are suffering from discomfort, and these behaviours are a result of anticipating that pain or an attempt to relieve/avoid it. Before you call your veterinarian, you can start gathering information and assessing your horse right away to help determine what is wrong. Even if you end up making an appointment for a professional visit, your observations can provide useful information for your vet as they work through diagnosing the problem. The exam starts in the barn, with careful observation and palpation to detect abnormalities. Stand back and look at your horse. Is there an obvious asymmetry in his muscling? Get up on a stool and (carefully) look down on his back from behind. Dramatic differences in back muscling can be evident from this perspective. Is he constantly resting a hind leg or pointing a particular front foot? Some sore horses prefer to stand as if they are on a circus ball, while others will camp out behind to relieve pain. Take a good look at his feet. Is there an obvious mismatch? One front foot is often narrower and more upright than the other. 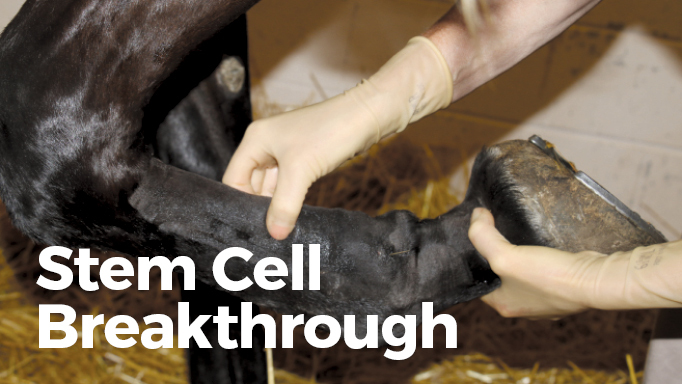 While many horses are born this way, foot shape can also change with lameness. The foot on the sore side will contract while the foot on the sound side spreads out because it constantly is taking a bit more weight. Hind feet can become dubbed off from toe dragging, and horses with hind limb pain often develop a steep medial wall/flared lateral wall conformation due to their “stabby” gait. On horses with unpigmented hooves, you can often see reddish bruising in the lateral wall as well. Pick up the foot and examine the shoe/hoof wear. Normal wear is typically a little more extensive at the toe, but otherwise should be fairly symmetrical. Extreme wear on the lateral or medial branch is indication of uneven landing patterns. Run your hands over his neck, body and legs. Feel for any heat, tenderness, filling in joints and tendon sheaths, lumps and any painful reactions when you apply pressure to a suspect area. Pick up the legs and flex the joints. Does one have a reduced range of motion compared to the opposite side? Does he flinch when you apply pressure? Remember that horses accumulate wear and tear over time, so their legs won’t feel perfect. The key is to identify anything new and different from the usual normal. Gently lay your fingers over the digital blood vessels on the inside and outside back corners of the fetlock to assess the character of his pulse. Remember to be patient here because the horse has a much slower pulse than we do, so wait several seconds before assuming you’re not in the correct spot. A strong or throbbing pulse on one leg can point to inflammation in the fetlock or foot. 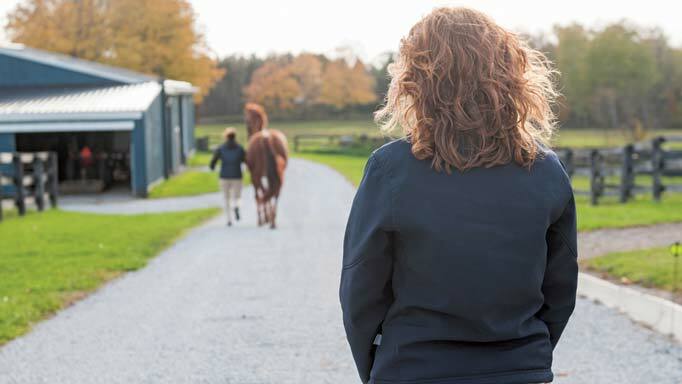 Once you have finished your in-barn inspection, it is time to observe your horse in motion. Ideally, you should watch him both on straight lines in-hand, and on the lunge or working in a round pen. Starting in-hand, find an area with firm level footing that gives you at least 30-40 metres of a straight path so you can watch him properly between up and down transitions. It really helps if you have trained your horse to jog properly on a lead shank – obedient, forward and attentive, not treading on your heels or weaving all over the place. You will need a helper to jog your horse so you can watch. The generous use of treats can encourage the cooperation of both horse and human in this endeavour! Stand to the side and have your horse trotted back and forth past you. Look for uneven strides, head nodding (the head bobs up as the sore front leg hits the ground, in an effort to reduce loading of that limb), toe dragging and stumbling. Next, go to the end of the runway and trot the horse away, then towards you. From this perspective, you can observe hip hiking (one hip rising up more than the other, as the horse favours that sore hind leg), stabbing the hind feet (in extreme cases this is called plaiting or rope-walking), a kinked tail and interference. Also, watch the drop of each fetlock when the foot hits the ground. If one leg is sore, that fetlock will drop less than the others because they are shifting weight away from that side. Moving on to the lunge, observe walk, trot and canter in both directions. In addition to the characteristics already mentioned, you can now observe how your horse balances on a circle. See if they bend normally or turn like a bus with the inside shoulder popped in, watch for normal up-and-down movement of the back vs a flat rigid one with no coiling or flexion of the hindquarter. Ask for lots of transitions and notice if they repeatedly favour or overload a particular leg throughout. A lot of horses with hind limb or back pain will have difficulty holding a canter lead, and will break into trot or cross-canter. Also consider the footing; does the horse look better when lunging on soft ground rather than trotting in hand on the driveway? Even if you don’t observe a head nod, a shortened gait on hard ground is very typical for bilateral limb pain, usually in the front end. While these horses usually have sore front feet or fetlocks, the overall impression is that they are shuffling and tight in the shoulder. Help train your eye by applying a masking tape flag to the poll, and one on the point of each hip. This will direct your attention towards a head nod or hip hike as the horse moves. Try to evaluate your horse next to a fence or kickboard with a level upper edge, which makes it easier to track asymmetrical body movements. 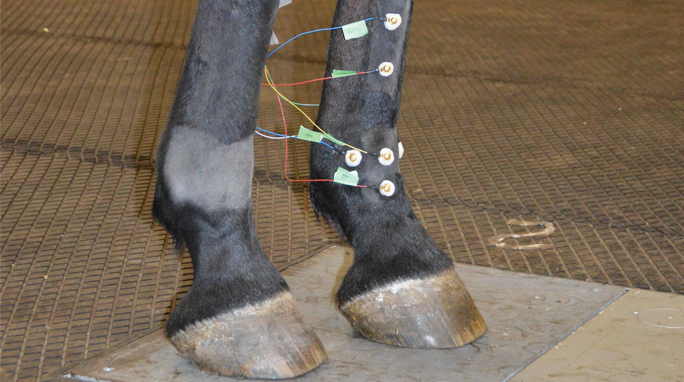 Trot is the easiest gait to spot most lameness issues because it is forward and symmetrical. Is it Lameness, or Something Else? Many horses are continually coping with several performance-affecting issues at the same time, making them a tricky puzzle to solve. In addition, the situation is constantly evolving so what was a minor problem a few months ago could be a very significant one now. Early detection and management is the key to success. Extraction from dental pulp is showing promise in regenerative medicine. 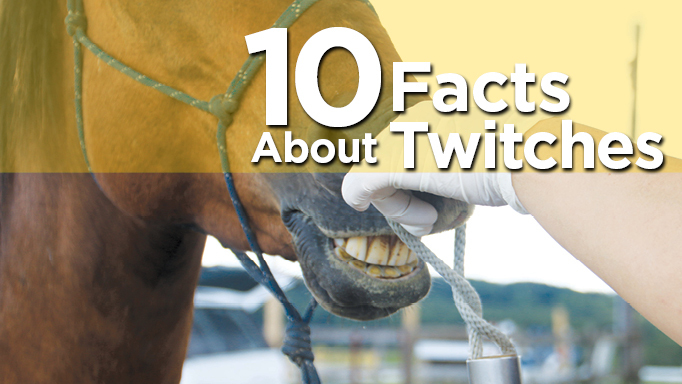 Some consider twitching cruel, but if used correctly the twitch is a humane form of restraint.